“The Cloud” is infinite. It can scale to eternity. It’s entirely redundant and resilient to any outage. Except when it isn’t. Using a public Cloud such as Microsoft Azure is associated with a general expectation of infinite capacity and scalability. 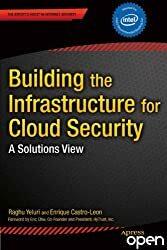 While we all know that there are always physical limits, the massive scale, ease of management and self-service nature of cloud environments give us the impression of a seemingly infinite set of computing resources. However, all cloud resources have finite capacity and when creating cloud apps we should carefully design for scalability from the very beginning.